Anyone know if anything like this is available? Gahh, I hope not! Didn't the advent of tinted windows make louvers obsolete? Come on Rob. Take it easy on the.............GOOD LORD! Actually the metal louvers that are MUCH smaller that that plastic thing would look good. I have never seen one on a 928 but its very 1980's. I would guess Porsche didn't have one as it would blow off at 130 mph. OK, hopefully they would be better than that. That said keep your UNSOLICITED OPINIONS to yourselves. I will personally KILL anyone who tries to force you to install these on your car. Clear? That said keep your UNSOLICITED OPINIONS to yourselves. Those were UGLY then and would be UGLIER now. Do they come with one of these? Available for the 928? I've never seen them offered anywhere by any of the vendors, I also highly doubt you could get any one of them to make any. You'd be on your own I afraid. On the other hand, they should be easily available for a Trans-Am/Mustang, etc. Maybe you could buy something similar to what that Corvette has and try your hand at fabricating something one-off. I remember them on the 280Z hatch back in the day. If you are trying to reduce heat intake, tinting has worked very well for me. Fact, not opinion. With an all white leather interior, I was also trying to reduce interior glare, and it did that too. I'd like to see an offering... yeah, I said it. I don't get you guys. You buy a car that no one in their right mind (by conventional wisdom) would get involved with then flame one of your own for asking about a simple window treatment that you personally don't like. Make up your freaking minds. Are you a free thinker, with your own opinion of what is good and right or are you somehow halfway in between? Or is it only your opinion however different it is than the majority that is right? Free thinkers should support others of their kind. 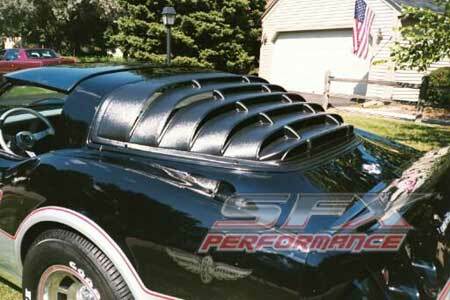 I want fukin louvers on my car. You want a car that will never be worth a fraction of what you put into it. Welcome to the asylum. Don't do it man - there's no turning back from the riceside! That puts the F in Fugly.